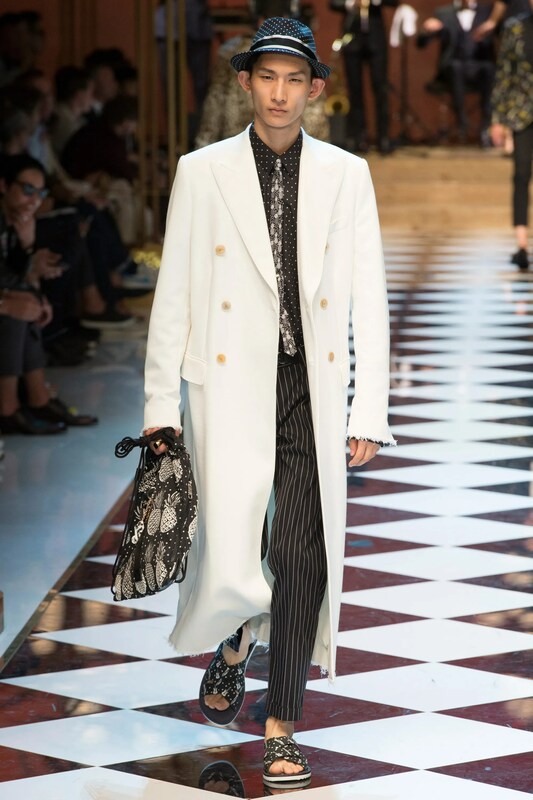 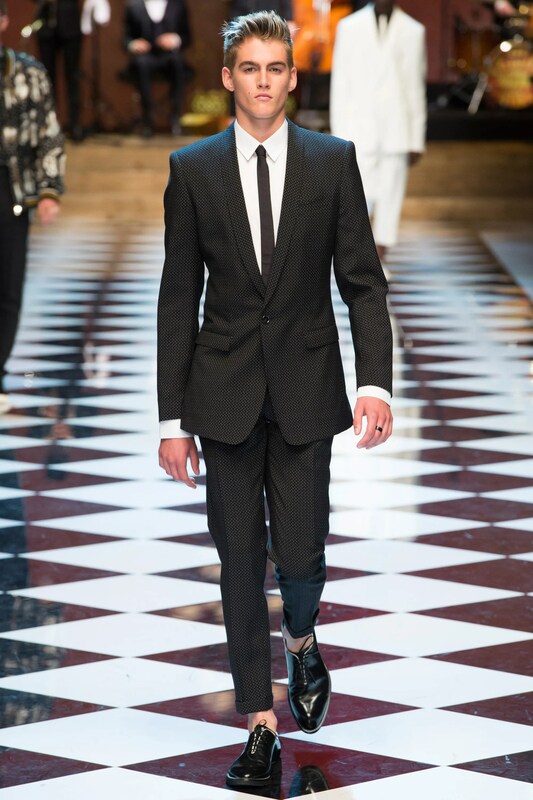 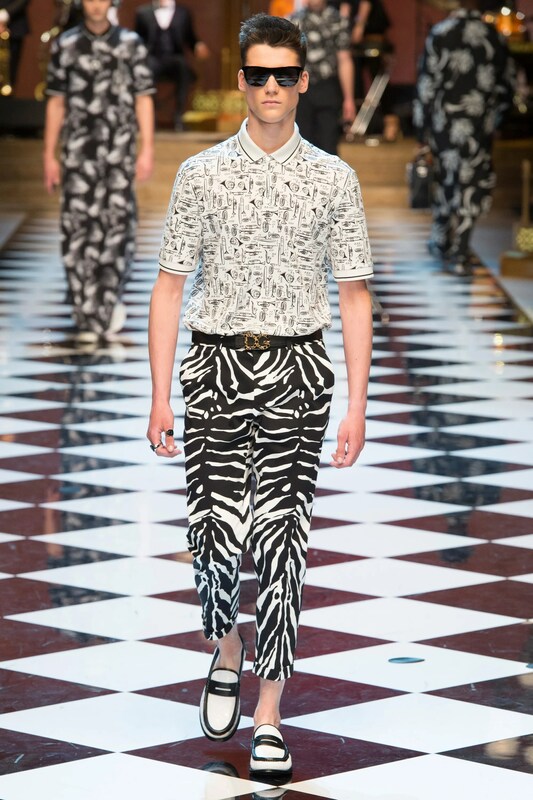 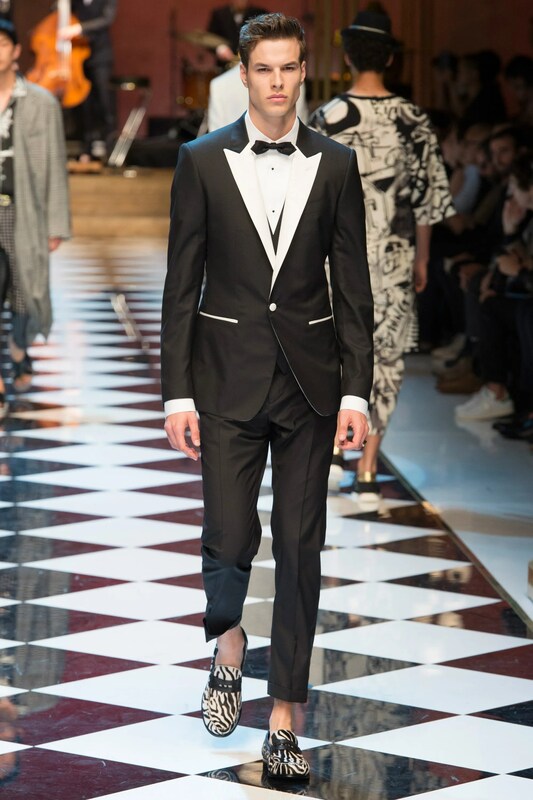 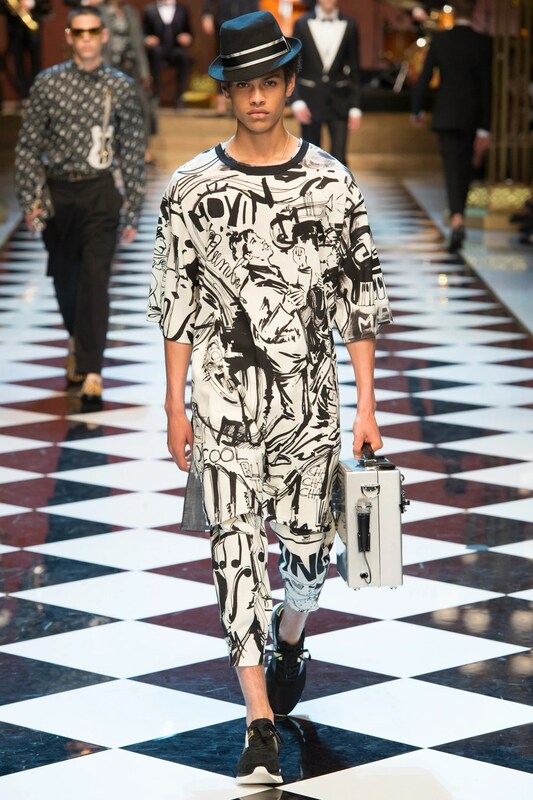 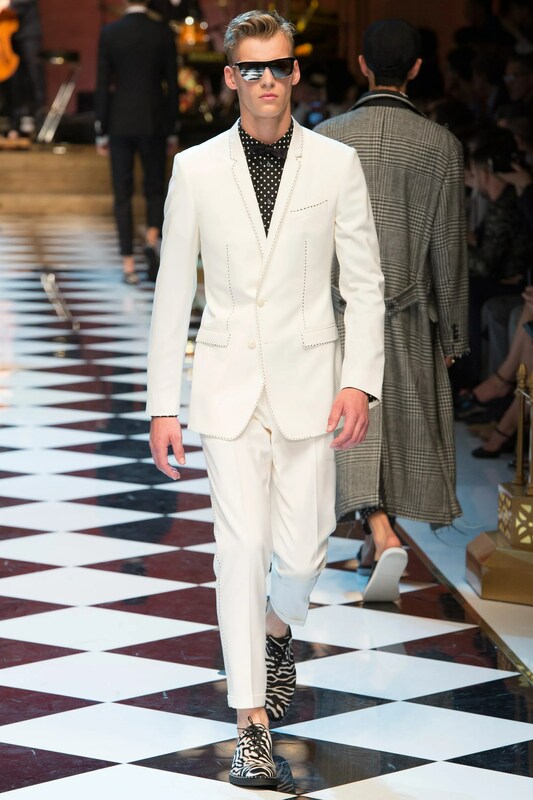 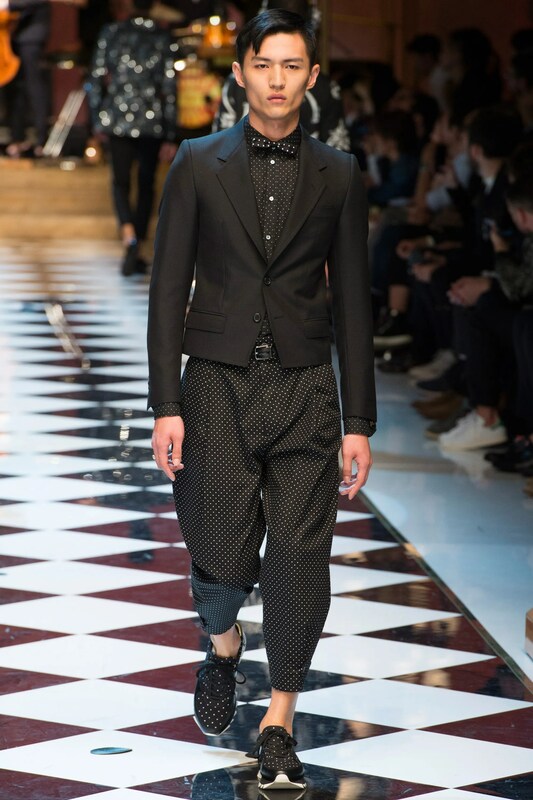 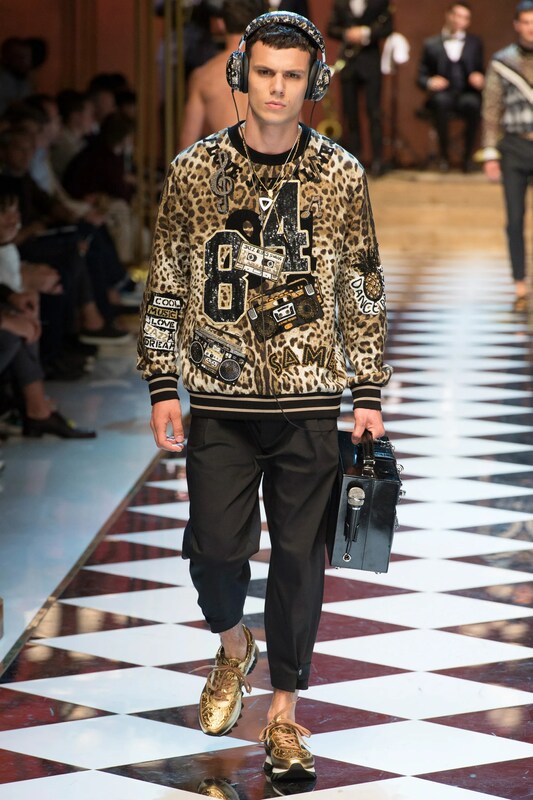 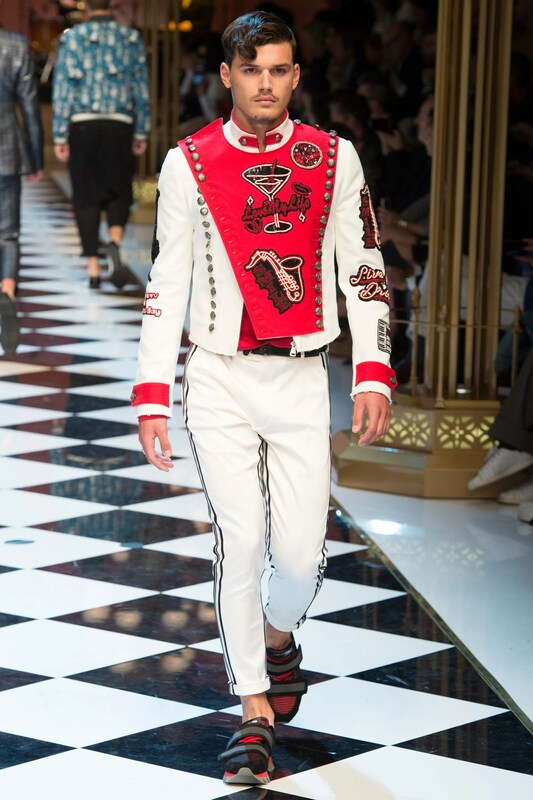 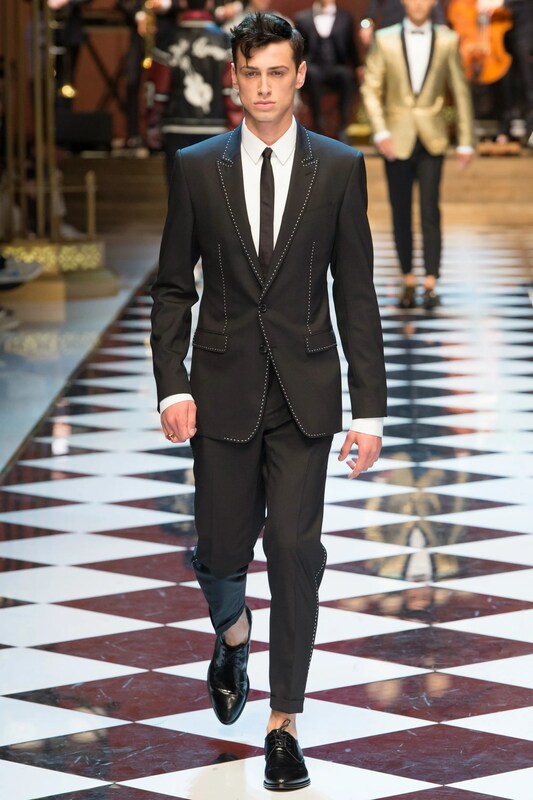 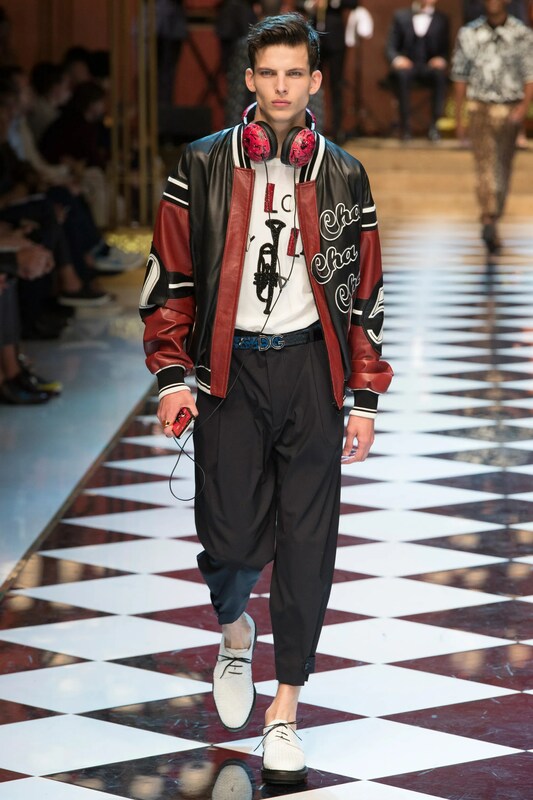 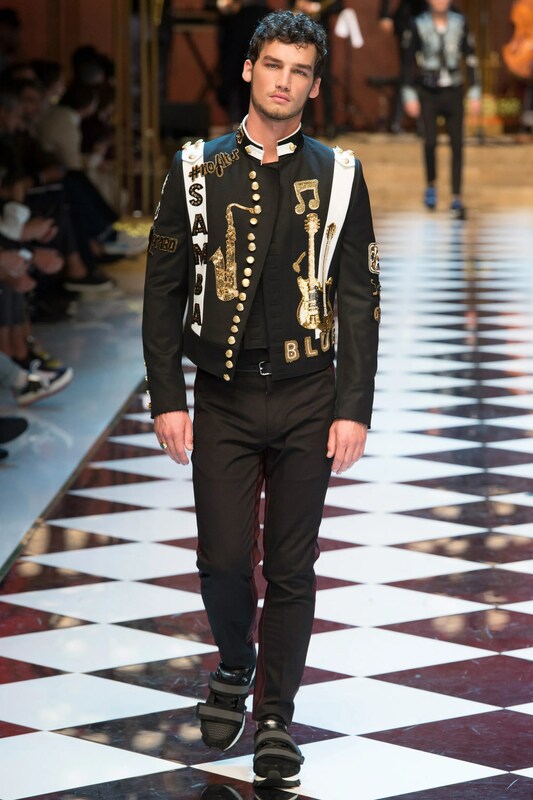 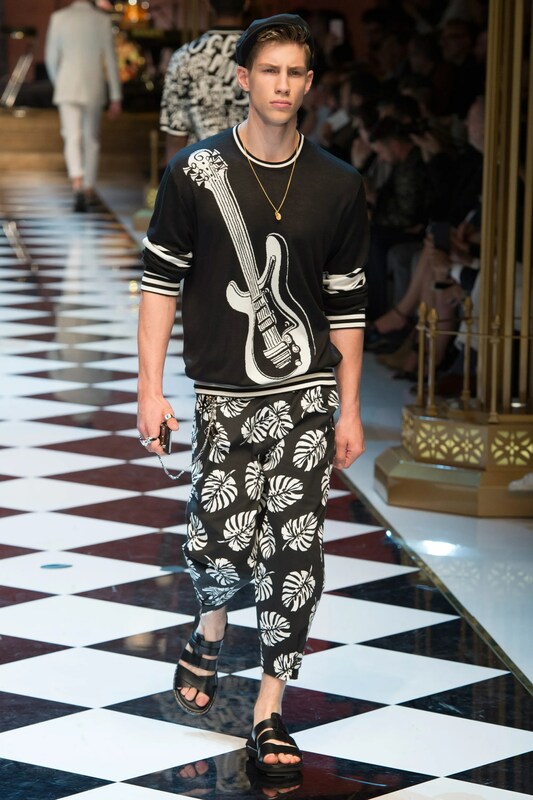 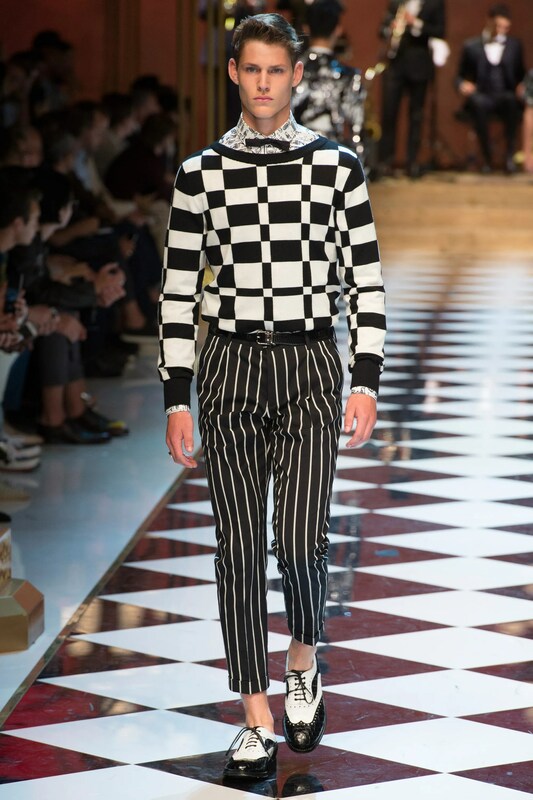 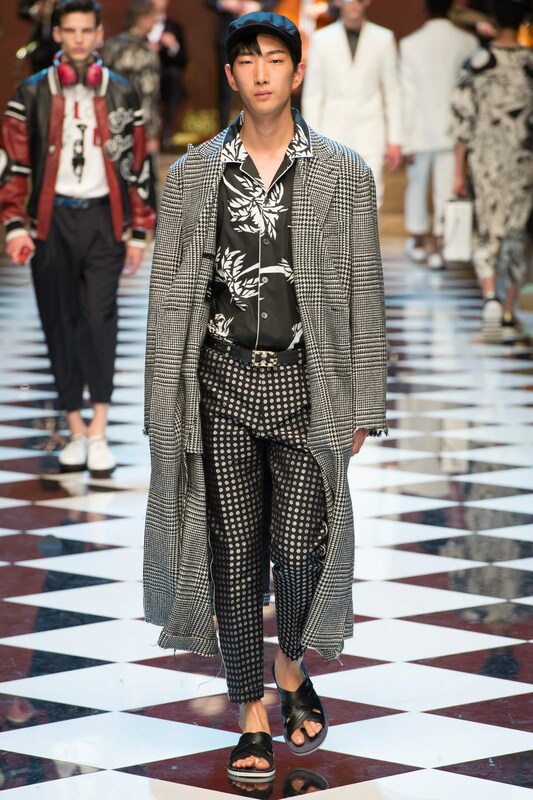 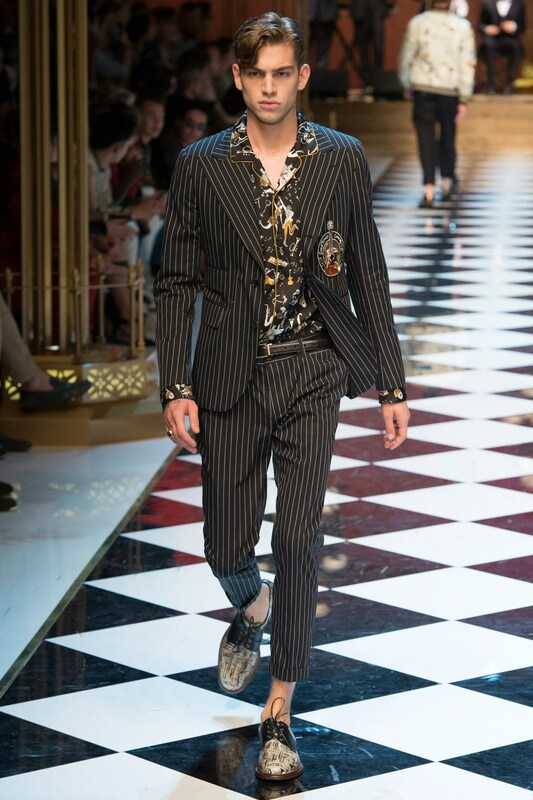 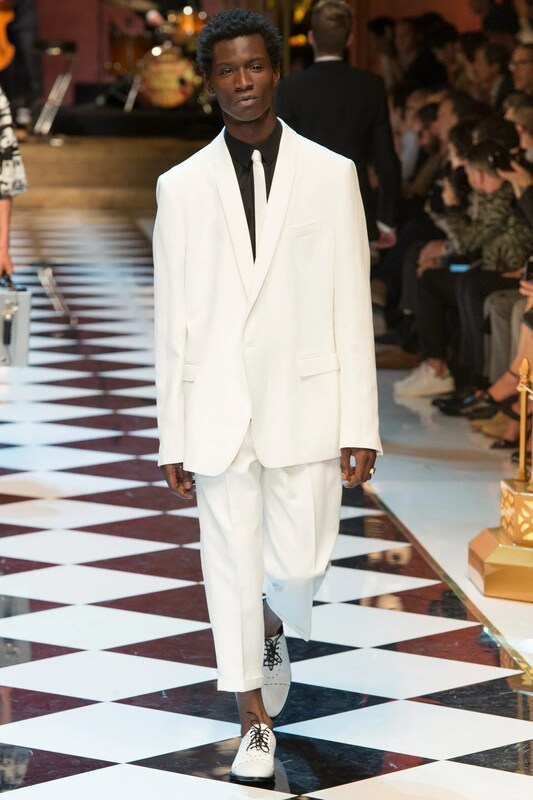 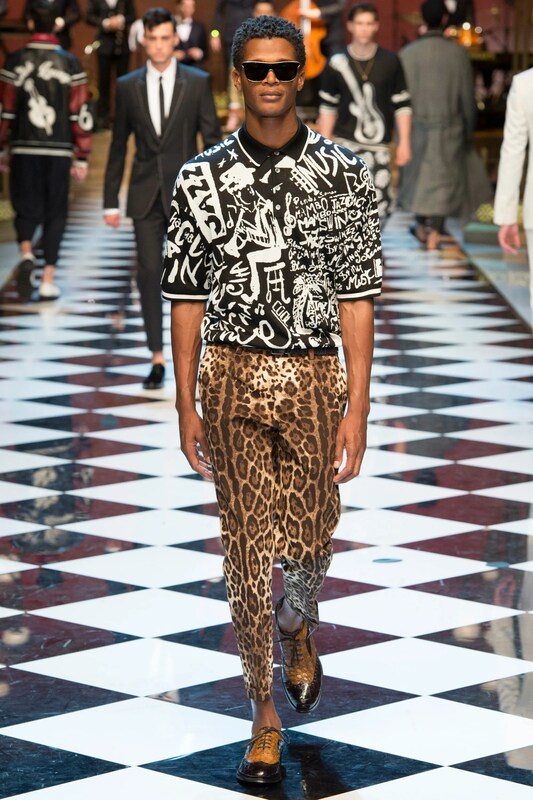 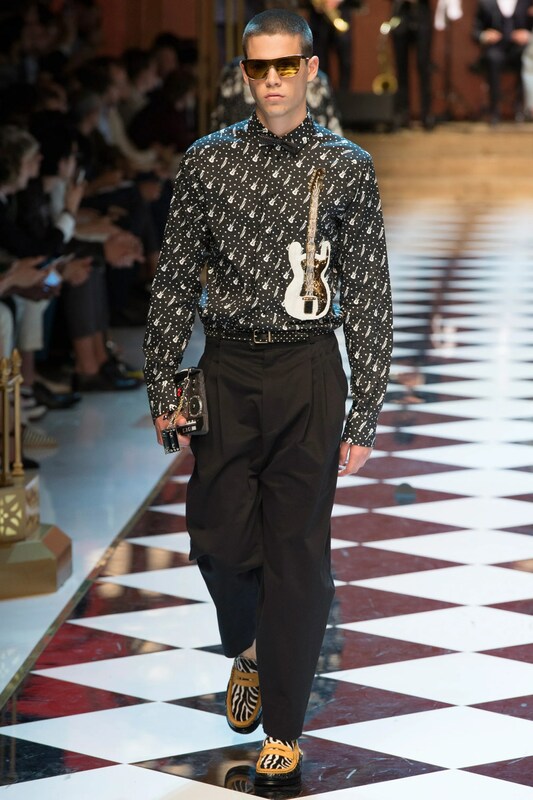 White and black suits, a continuation of graphic motifs from last season- now musical instruments, and graphic print t-shirts and pants paired with fedoras and boom boxes started the Dolce & Gabbana Spring/Summer 2017 Menswear runway show. 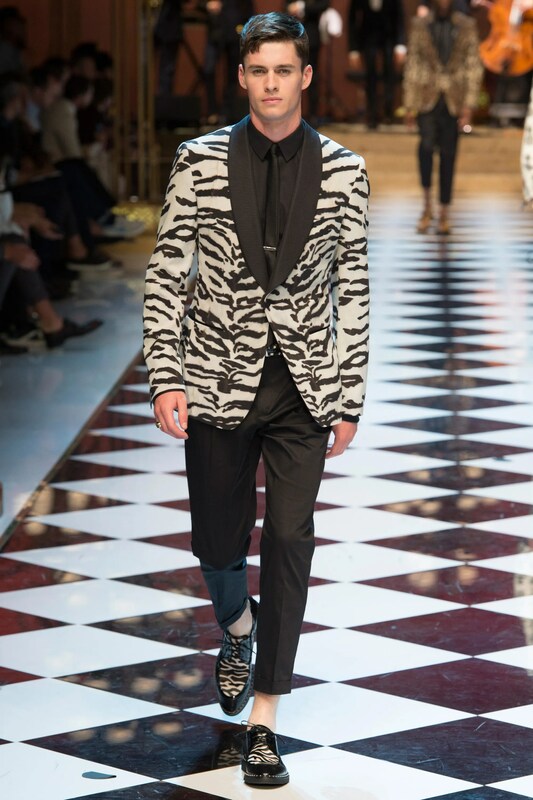 Contrasting white peaked lapels on black tuxes; animal print loafers, jackets, and pants; mixed prints; leather bombers reading “cha cha cha;” striking contrast top-stitch suiting (something Dolce & Gabanna do beautifully if you see their suits up close): musicality as menswear evoked Band, Jazz and Latin performers. 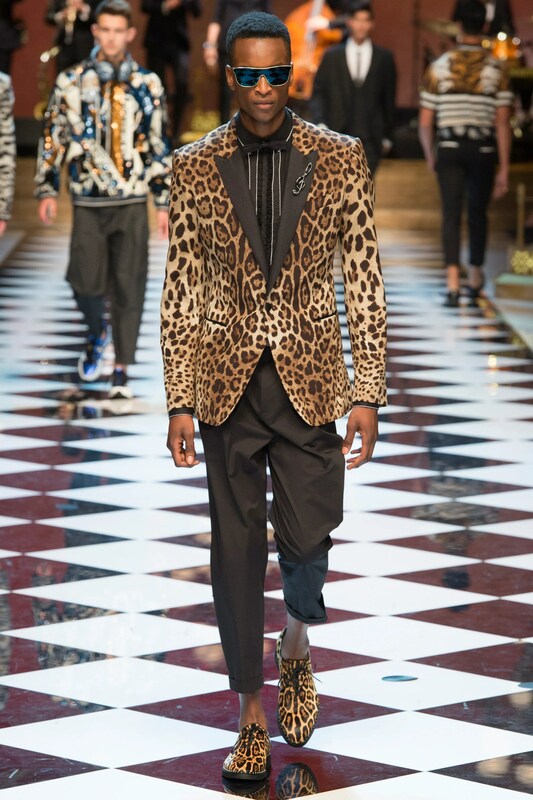 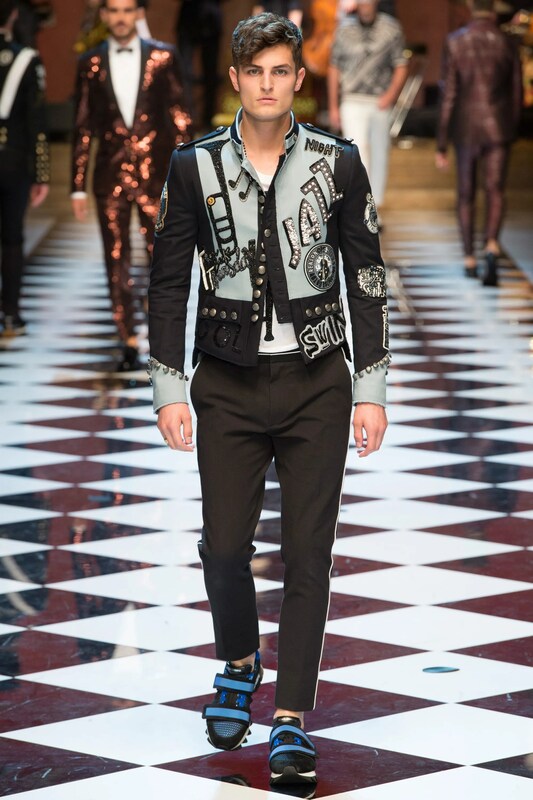 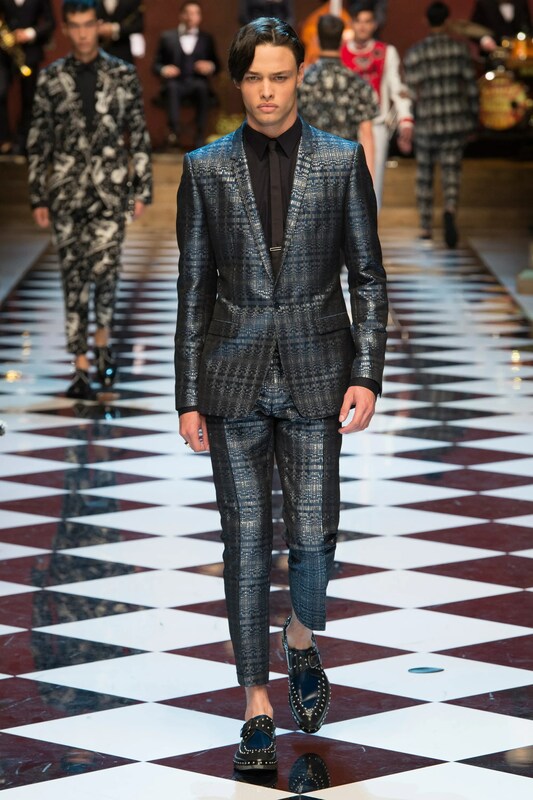 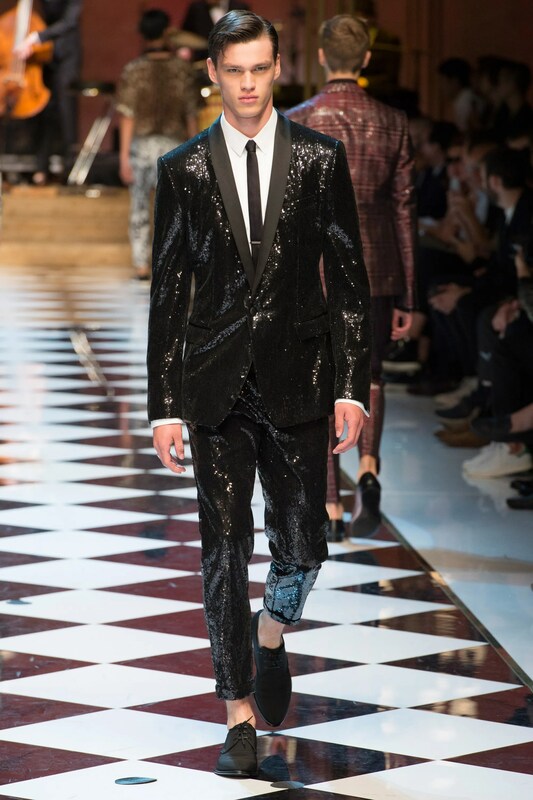 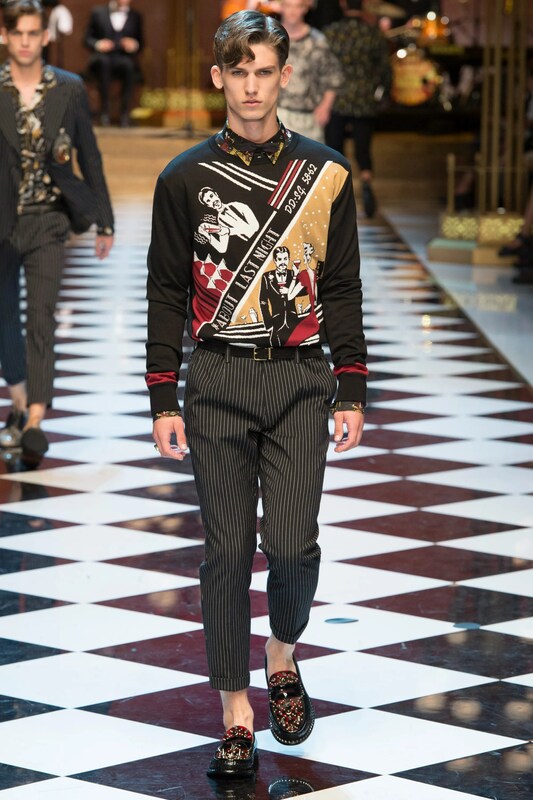 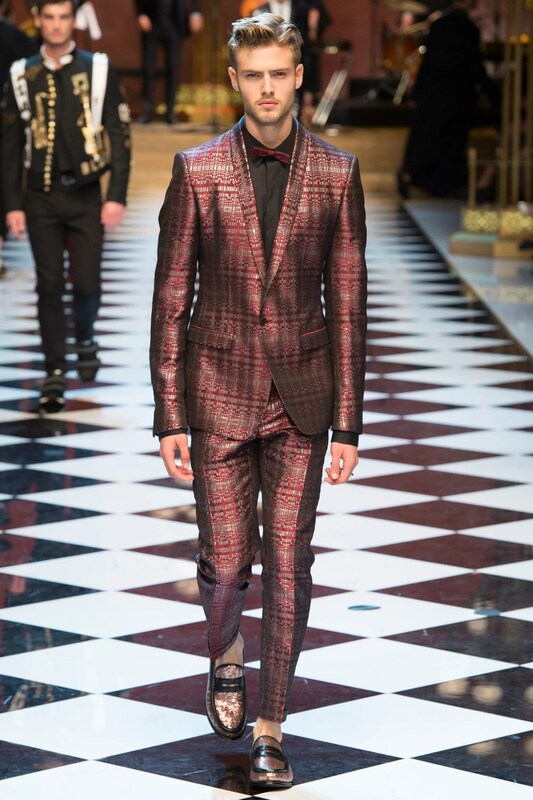 Yes, the Dolce and Gabbana SS17 menswear collection is loudly flamboyant, but that’s the aesthetic; we were transported to another time and place, whether it be Havana, a jazzy dive, or a parade, we could feel the music in the prints, or see performers in the models . 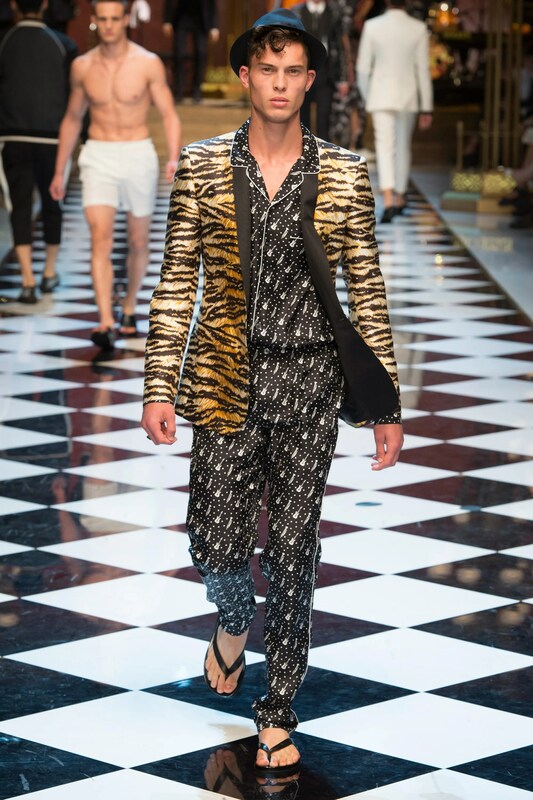 There were many wearable salable looks that were fun and unique, as well as those we can only picture on a particular kind of guy.